When the new Cadet Centre at Evans Bay, Wellington was officially opened in November 2007, few people present would have known or remembered that the site of the new cadet headquarters had once been a bustling international marine airport. Built fifty-six years previously to handle passengers arriving from and departing for Sydney aboard Solent flying boats, the reclamation now known as Cog Park was purpose-built in 1951 to accommodate the Wellington-based operations of TEAL (Tasman Empire Airways Limited), later to become Air New Zealand. 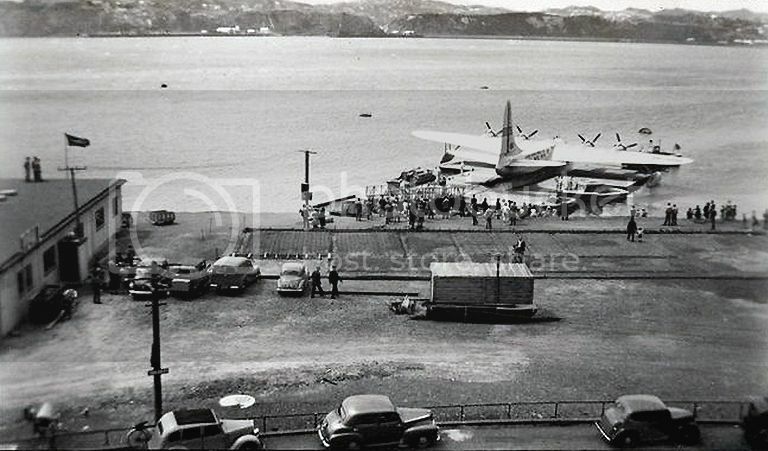 Well before Air New Zealand began regular trans-Tasman flights from the new Wellington Airport in July 1960, TEAL operated regular flying boat services from Evans Bay to Sydney from October 1950 until June 1954. 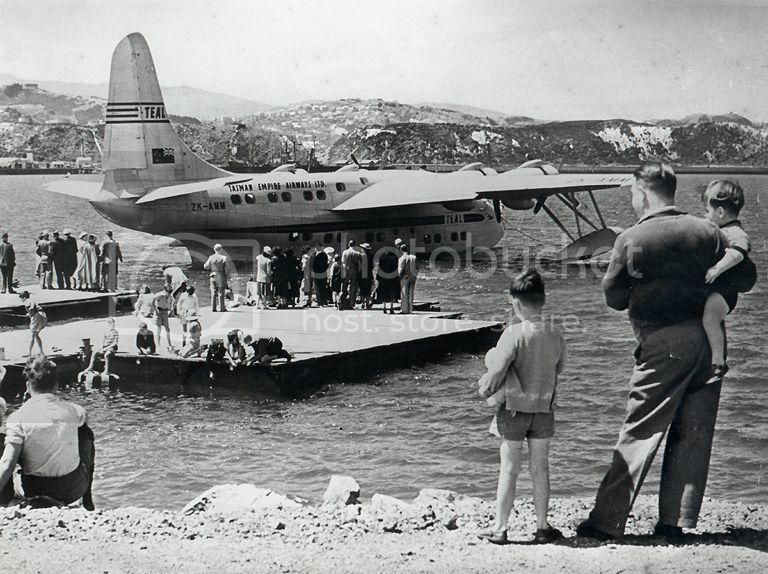 Evans Bay was first tested and pronounced satisfactory for flying boat operations by Captain John (Jack) Burgess when he brought Imperial Airways’ Short S.23 Empire flying boat Centaurus to Wellington for trial flights in January 1938. It was Captain Burgess too who brought TEAL’s first Empire flying boat Aotearoa from Sydney to Wellington on 19 January 1940. 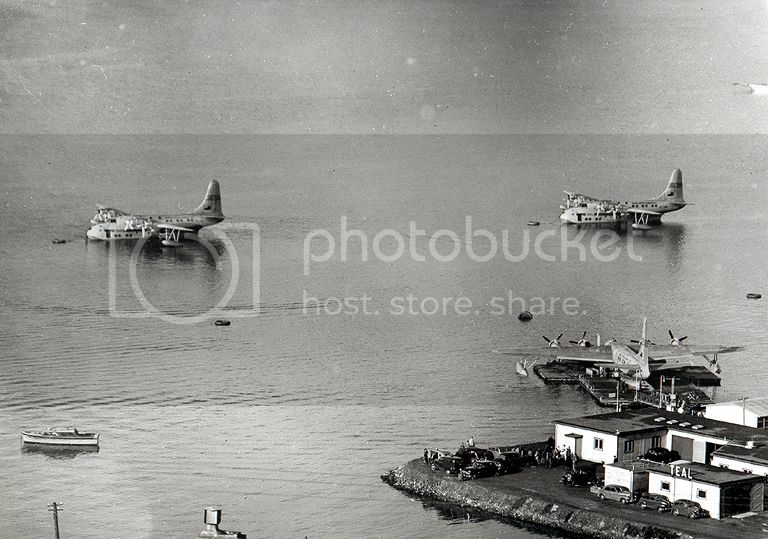 Then, almost ten years later, on 18 October 1949, TEAL’s brand new Short Solent flying boat Ararangi arrived from Auckland to carry out further trial flights from Evans Bay. The trials having proven successful, approval was granted for the construction of shore facilities at Evans Bay for the proposed trans-Tasman service. The work, costing around £79,000, included construction of a reclamation of one acre near the Patent Slip, provision of a shore-based pontoon, and a terminal building for the reception of passengers and mail, customs, health and immigration, mooring buoys, launches and jetties. When the trans-Tasman Solent service began on 3 October 1950 TEAL operated two return flights a week but these were soon increased to four and later five a week as the service became popular with travellers living in the lower North Island and throughout the South Island. The Solents, taking off from Sydney at around midnight, were scheduled to arrive at Wellington at approximately 7am and depart again at 11am for the return flight. Initially inbound and outbound passengers were processed in the clubrooms of the Evans Bay Yacht and Motor Boat Club and taken to and from the flying boat by motor launch. Two temporary quonset huts were also erected on the land beside the yacht club to store spare parts and engineering requirements for the Solents. In addition, three garages beneath a block of flats opposite the yacht club served as temporary premises for some Customs, Immigration and TEAL officials until permanent accommodation could be provided. 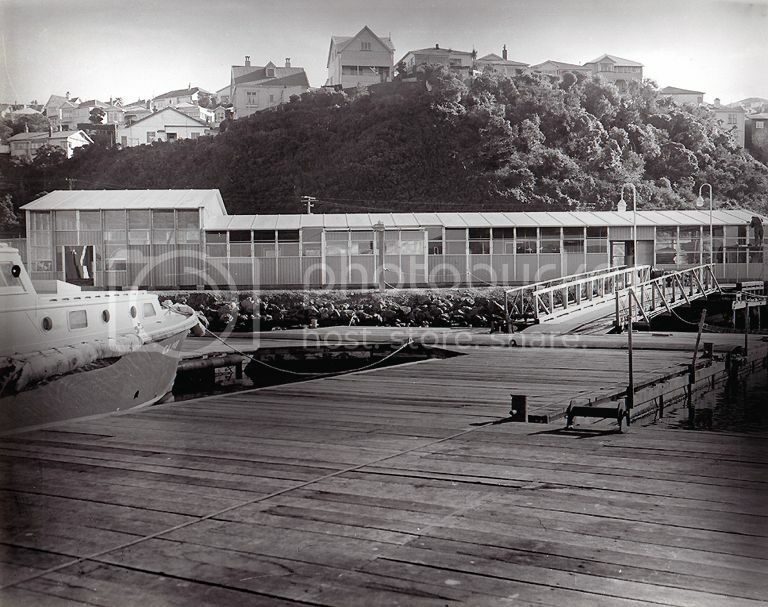 After operating from these basic facilities for 14 months, a building on the newly-completed reclamation at Hataitai Beach took over as a temporary terminal in December 1951. Originally planned as an engineering workshop, this building was used for passenger handling for a further year before the long-awaited main passenger terminal was completed in November 1952. In January 1952 the long awaited ‘Braby’ pontoon became operational. 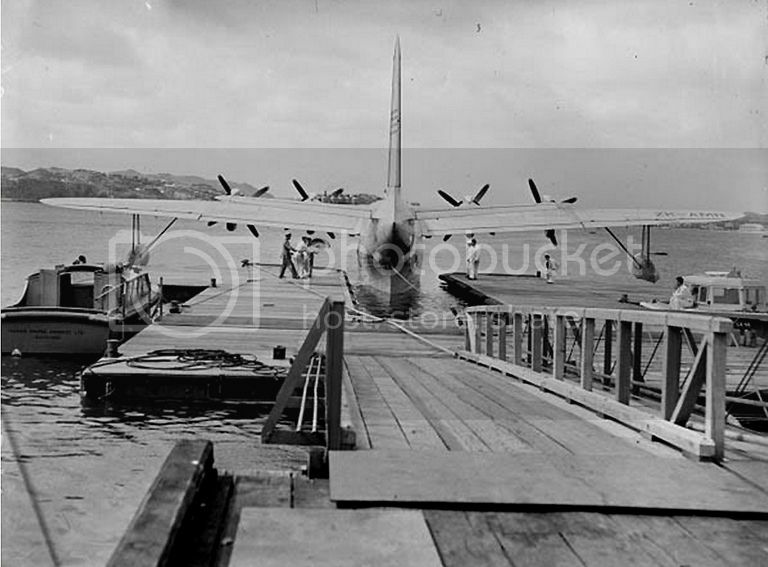 Built at Gracefield on the northern shore of Wellington harbour from 100 empty gasolene tanks used by the Americans in the Pacific during World War 2, the pontoon allowed passengers to embark and disembark directly from the flying boat onto dry land rather than endure the often choppy launch trip out to the aircraft as they had done previously. Just a few days before TEAL celebrated the trans-Tasman service’s first anniversary a contract was signed between the Ministry of Works and the Bristol Aeroplane Company for an “up-to-the-minute” passenger terminal to be built on the new Evans Bay reclamation. Built in England, the prefabricated aluminium terminal building was, according to contemporary newspaper reports, “of striking if unusual design”, The floor area was a massive 4500 square feet, with a frontage looking out over Evans Bay of 136 feet, forming a virtual glass front from floor to ceiling. To ensure that the building met the Civil Aviation Division’s strict contract specifications the building’s components were first assembled at Bristol’s aircraft factory at Filton before being dismantled and packed into 29 wooden crates in preparation for the sea voyage from London to Wellington. Leaving Tilbury aboard the New Zealand Shipping Company’s cargo vessel Haparangi in January 1952, the assorted crates were finally unloaded at Wellington in early May. While it took just three days for the Bristol team of workers to erect the shell of the £20,000 building in early June 1952, it was a further five months before the terminal was finally ready to handle passengers. The delays were put down variously to “congestion at the ports of Auckland and Wellington, the slow rate at which the internal outfitting work was carried out and the snail’s pace at which the building’s surroundings were landscaped”. It was hoped that TEAL would be in the building in time to celebrate the second anniversary of the inauguration of the Wellington-Sydney service on 3 October 1952 but it was another month before construction and outfitting was completed. 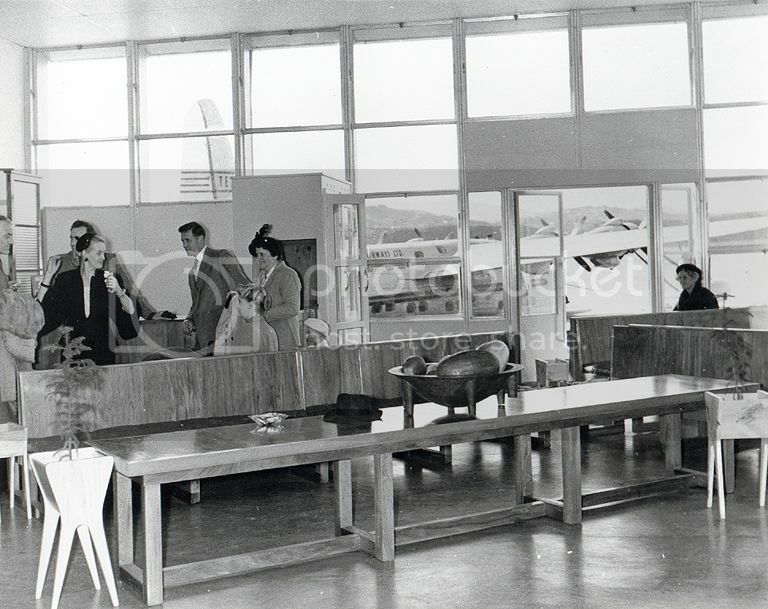 Officially opened on 4 November by the then Minister of Civil Aviation, Mr Gooseman, the terminal building, which cost more than £4 per square foot, was a pleasant change from the TEAL workshops in which passengers had been processed for the previous 12 months. Passengers now had a tastefully furnished lounge to wait in before completing formalities instead of standing in a queue as in the past. Those meeting them also had a properly appointed room in which to wait where they could shelter from the rain and remain separated from the customs and immigration process. Separate rooms were provided for Customs, health, and other officials, and a small office was allocated for a bank teller. Goods and luggage storage space was provided and there were two large passenger lounges in different colour motifs and a cafeteria. The whole building was tastefully decorated and large photographs of New Zealand and Australian scenes adorned the walls. A feature of the terminal was its telephone equipment which, according to Wellington’s Evening Post newspaper “is the latest in New Zealand. The push-button switchboard is so designed that callers cannot be accidently cut off once they are connected. If a wanted internal number is engaged the callers can be switched through to it automatically the moment it is free. Provision is made for the public with two telephone boxes and one box for long-distance calls”. To cap off the construction programme a large signpost was erected outside the terminal, its arms pointing to most of the world’s capitals within reach of Evans Bay by air, including the ports of call on TEAL’s ‘Coral Route’ and to the Chatham Islands. 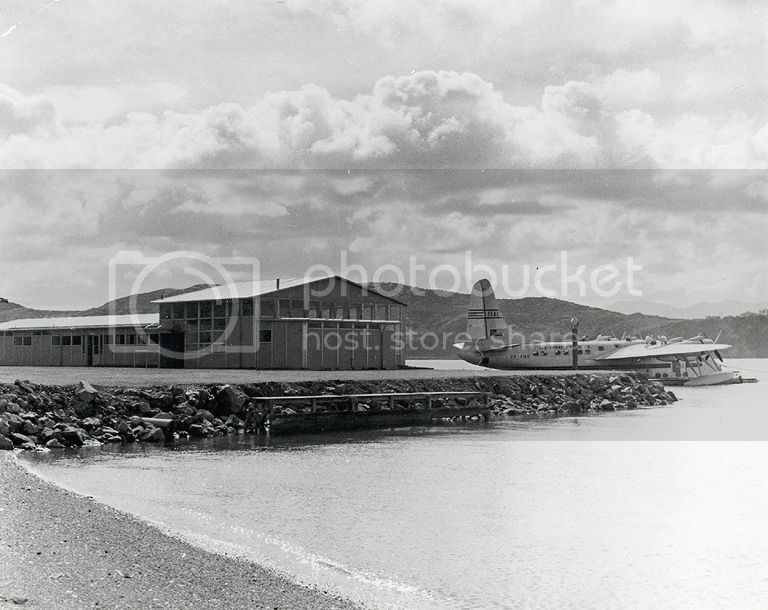 Following the opening of the TEAL terminal the trans-Tasman service operated without mishap throughout 1953 until June 1954 when quite suddenly the flying boats were replaced by Douglas DC-6 landplanes. In the four years that TEAL’s trans-Tasman service operated, the Solents carried 49,470 passengers. Given that the new terminal had been fully operational for only 18 months, its closure was a bitter pill for Wellington to swallow. From having a world-class international airlink the city went to having none at all. As neither Rongotai Aerodrome and Paraparaumu were capable of handling TEAL’s new DC-6s the capital had to wait six more years until Rongotai had been rebuilt to take TEAL’s new turboprop Lockheed Electras. When the Wellington-Sydney flying boat service ceased on 25 June 1954, the then Mayor of Wellington Robert Macalister said “This is no time for celebration, the flag should be flying at half mast. The termination of the service without a suitable alternative in the district will not satisfy Wellington or the province around it. Four years ago the introduction of TEAL’s direct air link between Wellington and Sydney had given the lie to the stories that Wellington harbour could never be used as a flying boat base. Since its inauguration a highly successful and convenient service has been developed”. TEAL’s decision to replace the Solents with DC-6s had been brought about in some measure by the Australian Government decision to close the flying boat base at Rose Bay due to recent advancements in the design and performance of landplanes. 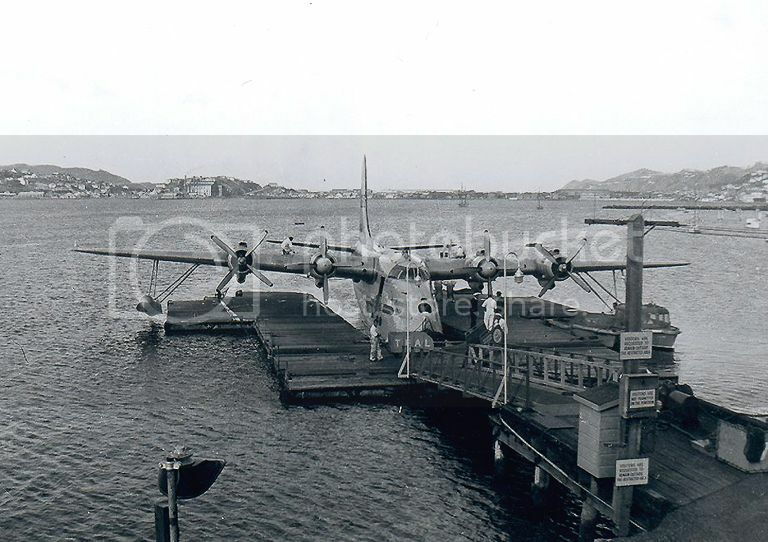 As it transpired, the Rose Bay base remained open for a further ten years to handle Ansett Flying Boat Services’ Short Sandinghams which operated between Sydney and Lord Howe Island. 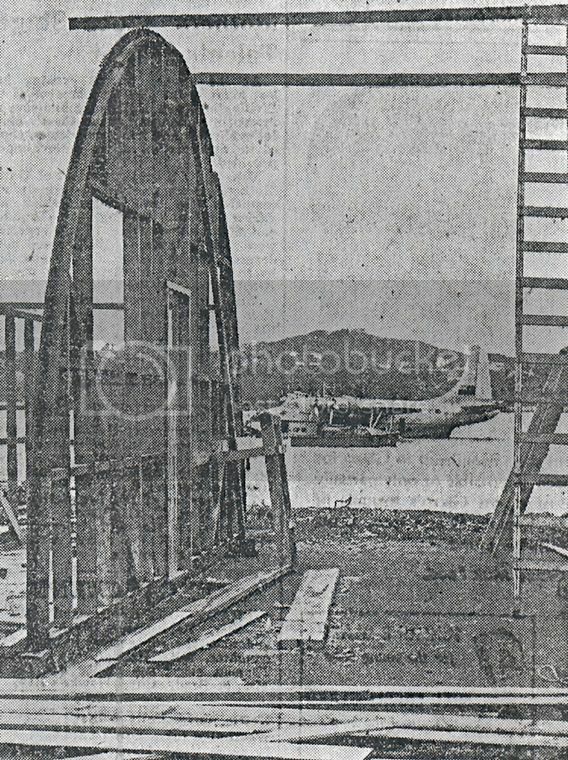 With the closure of the flying boat base at Evans Bay, equipment worth £40,000 lay idle and the 12-man staff were offered jobs at TEAL’s Auckland base at Mechanics Bay. The vast range of Solent spare parts were sent to Auckland to be sold when the Solent themselves were sold. After remaining mothballed at TEAL’s headquarters at Mechanics Bay for six months, two of the Solent Mk.4s (Aotearoa II and Awatere) were sold to Aquila Airways, Britain’s only remaining flying boat operator. A third Solent 4, Ararangi, was scrapped at Mechanics Bay following an engine fire in June 1954. The remaining Mk.4 Solent, Aranui, operated on the ‘Coral Route’ from Suva to Tahiti via Aitutaki and Apia until July 1960. TEAL’s fifth Solent, Aparima, a Mk.3 version purchased second-hand from BOAC in 1950, was kept as a back-up for Aranui until it was scrapped in 1957. 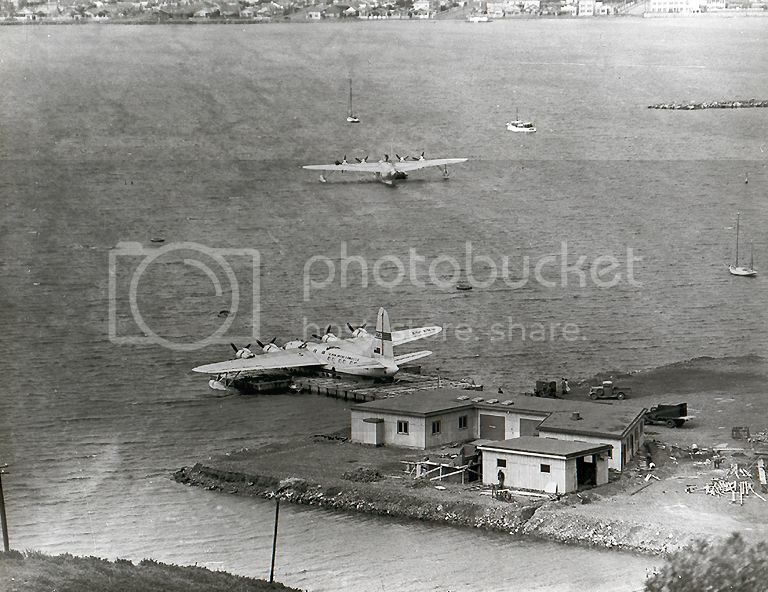 Although Solents no longer served the capital, Sunderland flying boats of the Royal New Zealand Air Force continued to use the Evans Bay base for passenger services to the Chatham Islands until the type was phased out in 1967. During this period the Sunderlands also used the base as a fuelling facility for numerous air/sea rescue missions. However it was as a training facility for units of the New Zealand Cadet Forces that the former flying boat base and its buildings are best remembered. 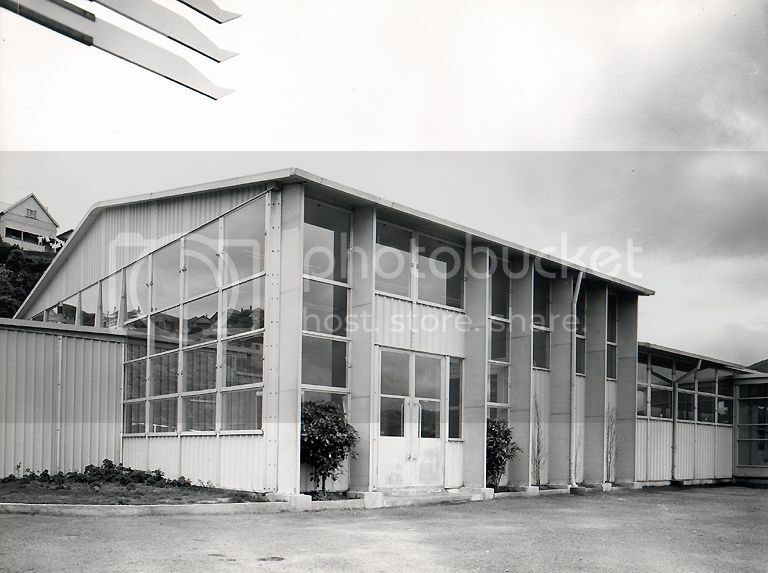 Soon after TEAL vacated the terminal in 1954 it was taken over by No.1 Squadron Air Training Corp who occupied the building until 1963 when it was offered to the TS Amokura Sea Cadet Unit. For the next 42 years thousands of young cadets used the old terminal building for their twice-weekly parades and training programmes and at weekends competed in national and provincial sailing regattas. Over this period several out-buildings were built to house the cadet unit’s growing fleet of cutters, sailing dinghys and kayaks. 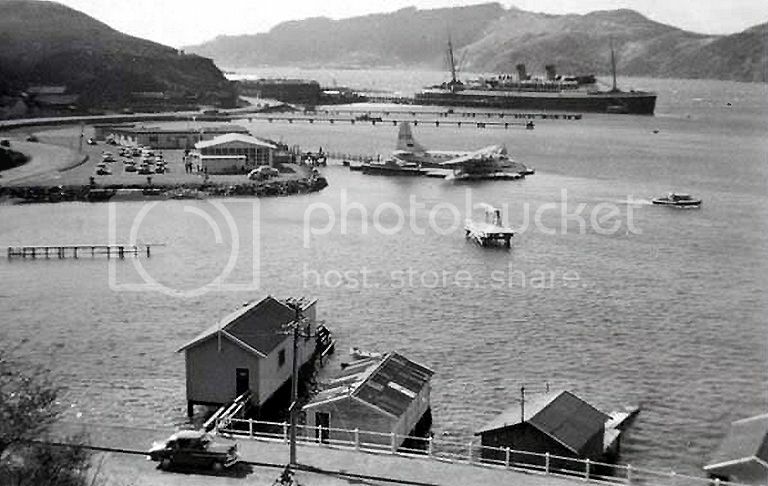 It’s quite probable that thirty years or so after TEAL left Evans Bay, few Wellingtonians driving past the old terminal each day would have been aware of its historic aviation significance. Now looking decidely worse for wear after decades of being battered by southerly gales and salt spray, plans to replace the building were well in hand when fate took over and an early morning fire on 15 December 2005 destroyed two-thirds of the old aluminium terminal building. What remained was soon demolished. Following the fire TS Amokura moved into an adjacent building once used by TEAL as an engineering workshop, the last evidence that a thriving international air service had once operated from the site. Now even that link has gone, having been removed in 2006 to make way for the new Wellington Cadet Centre. 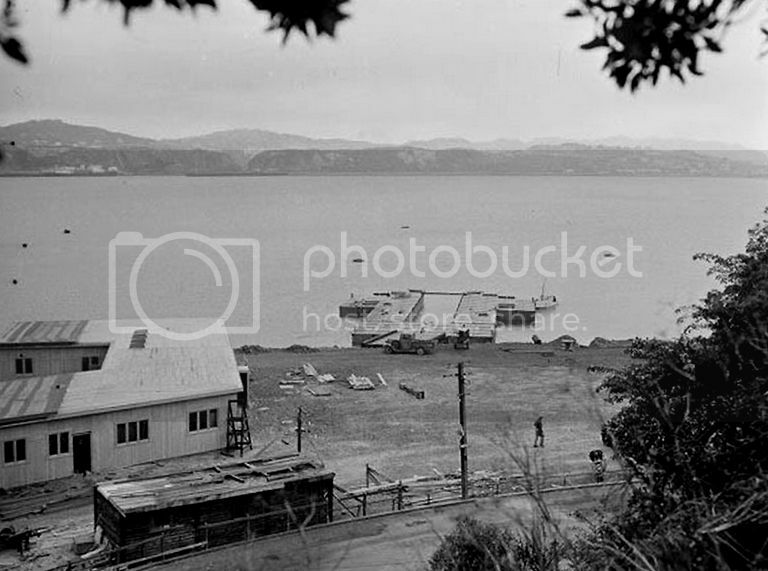 Shortly before the trans-Tasman service commenced on 3 October 1950 two Quonset huts were built alongside the Evans Bay Yacht Club to store spare parts and engineering equipment for the Solents. An early scene, probably soon after the Wellington-Sydney service began in October 1950 when TEAL's operations were carried out from the Evans Bay Yacht & Motor Boat Club headquarters. The yacht club building can be seen at the extreme left of this photo and the two Quonset huts can be clearly seen above the Solent's wing. TEAL's station engineer Bill Brann is checking oil levels in the engines and the passenger launch TEAL is moored between the aircraft and the shore. 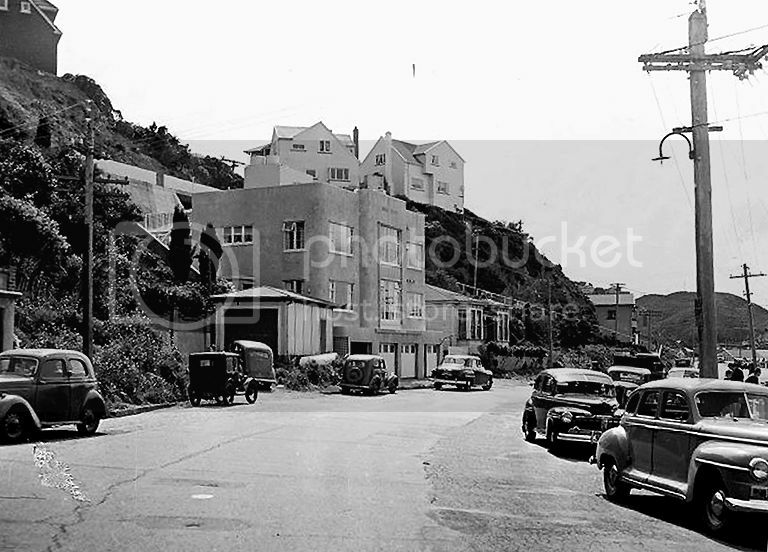 Another early scene showing the block of flats in Evans Bay Road immediately opposite the Evans Bay Yacht Club. Until TEAL moved its operations to the new reclamation in December 1951 the three garages beneath the flats were used as temporary premises for some Customs, Immigration and TEAL officials until permanent accommodation could be provided. The garages were equipped with telephones and lights but to the chagrin of those working in them there was no means of heating. View from above the Patent Slip of Hataitai Beach where the reclamation to accommodate the TEAL flying boat terminal was built. The first spoil was dumped in the bay in early April 1951 and the last in late August. The site of the future terminal is roughly between the masts of the large ship on the slip. The reclamation nearing completion in June 1951. 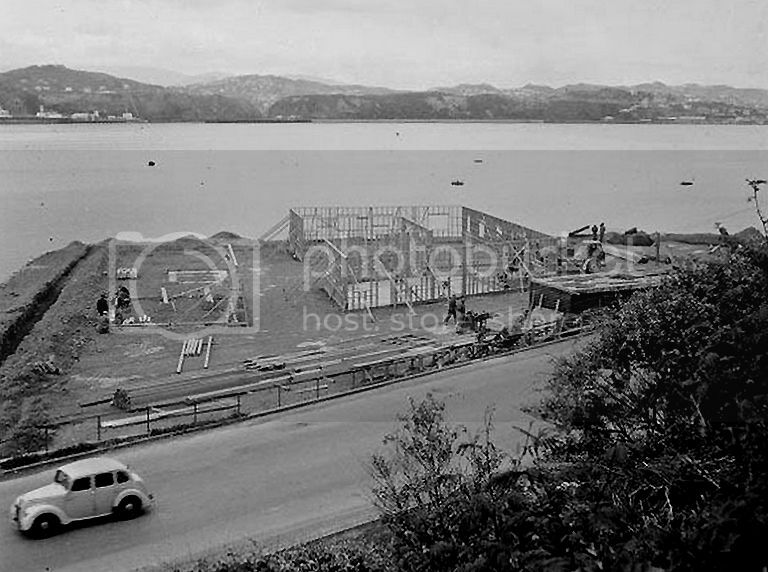 The new engineering workshop/temporary passenger terminal under construction in early September 1951. The building was originally intended to be an engineering workshop but following completion in December 1951 it was used to process passengers until the new purpose-built terminal became operational eleven months later on 4 November 1952. The almost completed engineering workshop/temporary passenger terminal in October 1951. Note the new Braby pontoon is in position but its timber decking still has to be laid and the gangway installed. On 18 October 1951 Short Solent ZK-AMM Ararangi lost its starboard float on landing at Evans Bay in rough weather and thus became the first flying boat to use the Braby pontoon. The photo, taken the following day shows Ararangi in the unfinished pontoon and a second Solent (ZK-AMO Aranui is on the buoy. The almost completed engineering workshop/temporary passenger terminal is in the foreground and the empty space to the right of it is the site of the future permanent passenger terminal. The completed Braby pontoon and gangway. 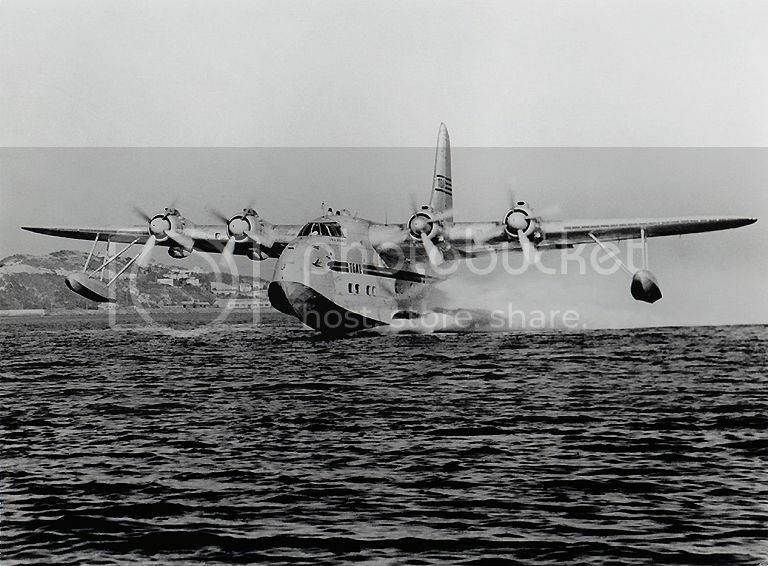 The facility enabled passengers to board the flying boat quickly, a far cry from having to endure an often rough and wet trip by launch out to the aircraft moored on the buoy. 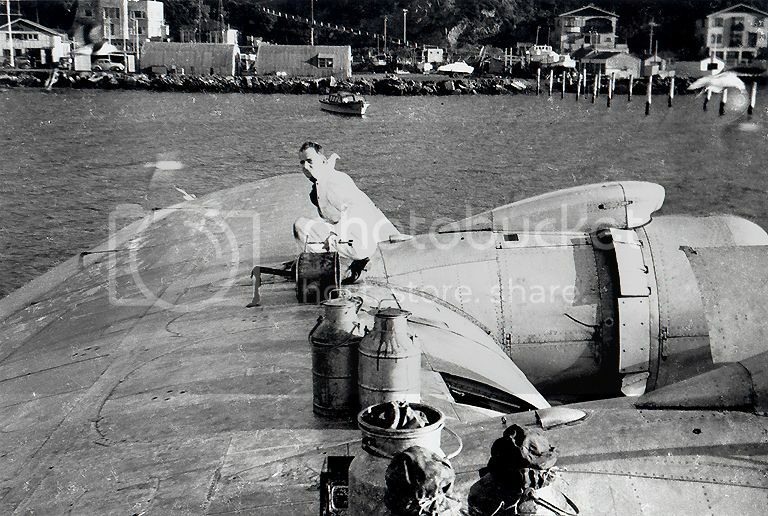 This photo depicts ZK-AMN Awatere being winched into the pontoon on 31 December 1951 prior to leaving for Sydney at 1100 that morning. This was the first occasion that a scheduled service departed from the pontoon. Friends and relatives gather on the pontoon to farewell ZK-AMM Ararangi on 1 February 1952. The flying boat has been towed from the pontoon to a mooring where the engines are started. This photo records the first official departure of a Solent from the newly completed pontoon on 31 December 1951. The aircraft is ZK-AMN Awatere. Note the foundations for the new passenger terminal which were laid during December 1951. Work was delayed until May 1952 when the prefabricated sections arrived by sea from England. ZK-AML Aotearoa II docked bow-first in the Braby pontoon on 20 May 1952. The photo was taken by TEAL's station engineer Eddie Raper. View from Hataitai Beach of the new TEAL passenger terminal with Solent ZK-AMO Aranui in the pontoon. The date is 16 December 1952. Evening Post photo. The seaward side of the passenger terminal. Arriving passengers entered the terminal through the double doors at centre while departing travellers boarded the flying boat through a lobby at the extreme right of the photo. Evening Post photo. View of the passenger terminal from the Braby pontoon. The launch at left belongs to the Civil Aviation Department and was used to clear the take-off and landing zones of floating debris as well as laying flare-paths at night. Passengers entering the terminal building after arriving from Sydney. The terminal, which cost more than £4 per square foot, was a pleasant change from the converted TEAL workshops in which passengers had been processed for the previous 12 months. 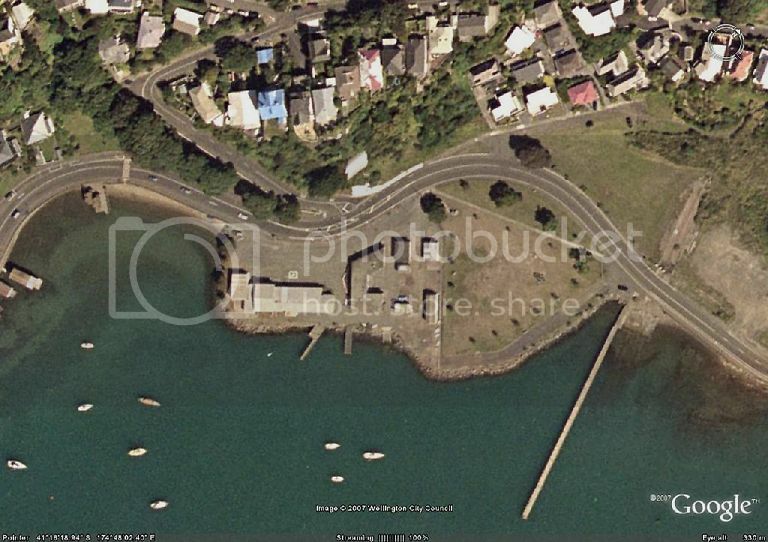 Google Earth photo showing the former TEAL passenger terminal (left) and engineering workshop (centre). In the years since the flying boat service ended the terminal's southern end (left) was extended and several ancilliary buildings were constructed to accomodate Sea Cadet sailing craft and equipment. Three of TEAL's Solents at Evans Bay on 2 July 1952. 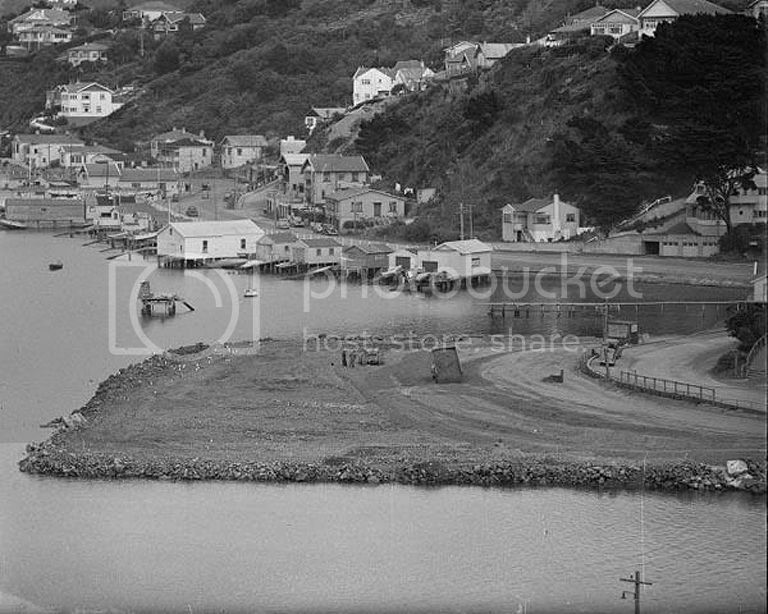 They are Ararangi (left), Aranui (in the pontoon) and Awatere (upper right). A typical scene at Evans Bay showing TEAL Solent ZK-AMM in the Braby pontoon on 16 April 1954. 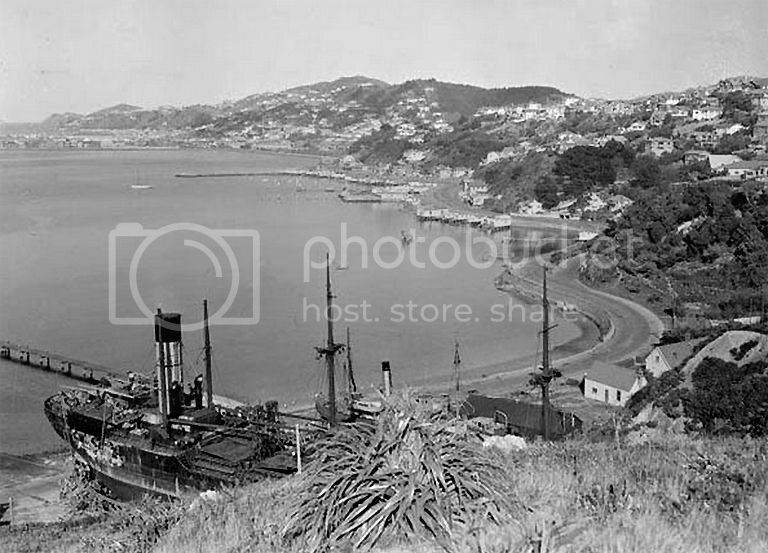 The vessel in the background is the Union Steam Ship Company's Wellington-Lyttelton ferry Rangatira. This splendid photo was published in the Evening Post with the headline "Farewell to the Solents". Contrary to popular belief, this was not the final Solent from Evans Bay, rather it is the penultimate departure on 23 June 1954. The aircraft is ZK-AMO Aranui, under the command of Captain Christopher Griffiths. The final Solent departure took place on 25 June 1954 when ZK-AML Aotearoa II, under the command of Captain J.S (Joe) Shepherd, left for Sydney. The next Wellington-Sydney service took place six years later on 26 July 1960 when a TEAL turbo-prop Lockheed Electra departed from the newly completed Wellington Airport. Thank you for this coverage of a largely forgotten airline terminal.